Sales of bracelets for September 2010 will go towards Arizona Greyhound Rescue’s dental bills. 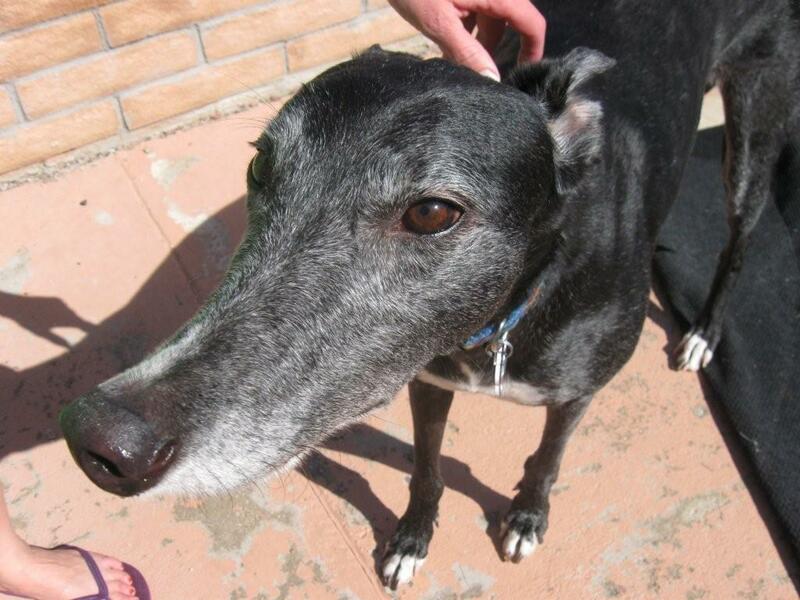 Dental problems are common for retired racing greyhounds due to their soft and substandard 4D diet while racing. Unfortunately, racing greyhounds are not given anything to chew on to prevent plaque building up which can cause gingivitis. Greyhounds rescued by Arizona Greyhound Rescue receive one professional dental cleaning soon after entering our leased kennel. In most instances but not always, once a retired racing greyhound is fed premium kibble, given a Nylabone to chew on, and regular dental care, gingivitis can be avoided. Sometimes bad things happen to people with good intentions. Adopters face challenges that negatively impact their lives and the lives of their hounds. In this case, the husband died abruptly and left his wife with three greyhounds. One mischievous male named Wayne rebounded back to Arizona Greyhound Rescue. While in his foster home, it became apparent that the hound’s breath was really bad. Arizona Greyhound Rescue learned later that the hound had been scheduled for a dental prior to family’s catastrophe. Upon examination, the veterinarian found that Wayne had pronounced gum disease and would need many extractions: 31 teeth to be exact. The cost was approximately $3,000. Arizona Greyhound Rescue dug into their coffers. Greyhound foster parent angels Dale and Jim took care of Wayne during this difficult time, nursing him back to health. These wonderful guys have a history of nurturing wounded hounds, giving them a second chance to be a family companion. Both were thrilled when Wayne started to play like a puppy with their other greyhound once his gums healed. In August 2010, Wayne was adopted and now has a new home to hang his leash. If you’re local to Tucson, go to Silver Sea Jewelry & Gifts, 330 N. 4th Avenue, 520-624-9954. Bracelets are for sale at $20/each. One-of-a-kind bracelets are made with donated beads and paw print or other charm. One size fits most. Contact karynzoldan@yahoo.com to donate beads (we can arrange pick up) or to invite us to sell bracelets at your event. Donated beads can also be dropped off at Silver Sea Jewelry & Gifts, 330 N. 4th Avenue, (next to Bison Witches Cafe), 624-9954.